"When you are fully charged, you get more done. You have better interactions. Your mind is sharp, and your body is strong. On days when you are fully charged, you experience high levels of engagement and well-being. This charge carries forward, creating an upward cycle for those you care about." Tom Rath is the author of five New York Times bestselling books, including Eat Move Sleep and StrengthsFinder 2.0, and is a senior scientist at Gallup. 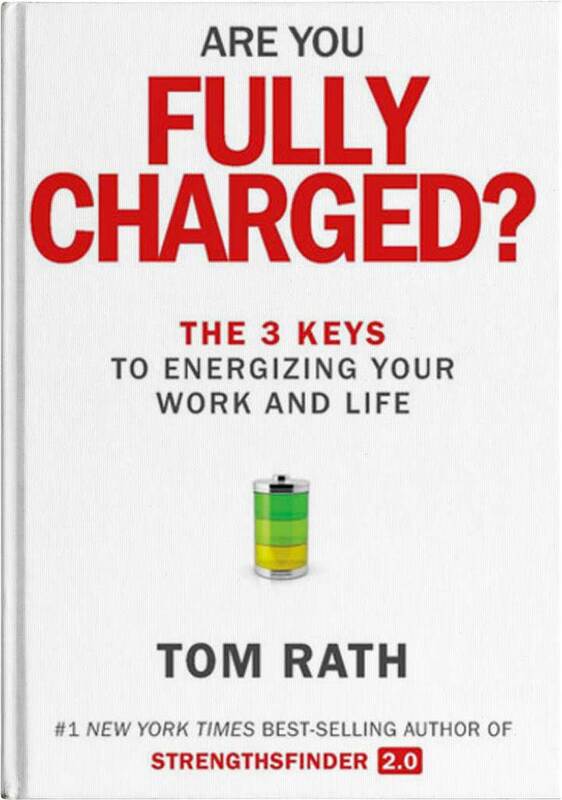 Rath’s latest book ‘Are You Fully Charged?’, I believe will become the 21st century equivalent of both Brian Tracy’s Eat That Frog and Stephen Covey’s 7 Habits Of Highly Effective People. Why? Because Rath has moved away from the traditional time management approach and instead focuses on energy management. This book answers the hot contemporary question, how can we stay energised and fully engaged in a highly disruptive world? At the age of sixteen, Rath was diagnosed with a rare form of cancer. Each year, Rath spends a week in hospital, and all going well, he can go home with a ‘fresh 12-month lease on life’ only to do it all over again the next year! Perhaps this gives Rath’s message a sense of urgency to take back the controls and embrace your life, and why this book is simple, powerful and very practical. To fully energise your work and life, Rath has identified the three crucial keys of Meaning, Interaction and Energy. These three keys will help to improve your overall mental, emotional, spiritual and physical health. Ironically, research tells us that it is the pursuit of meaning that makes us happier long-term rather than the pursuit of happiness! Rath has clear examples of how focusing on both your strengths and self interest will give you short term energy, but when you combine this with making a positive difference in other people’s lives, you will find true meaning. The benefit in pursuing meaning is that we become more energised, with happiness being a great by-product. The second crucial key is ‘Interaction‘. Life is about millions of small individual interactions and the key is to consciously create many more positive, rather than negative interactions with others. These interactions are about a choice, and the choice, is to be 80% positive to 20% negative. He emphasises the need to be fully present in interactions and relationships. This requires very little effort, but the rewards are enormous. So, in our highly distracted digital world, it is crucial that we use our smart-devices when we are alone and shut them down when we are engaging with others. The final key is ‘Energy‘. 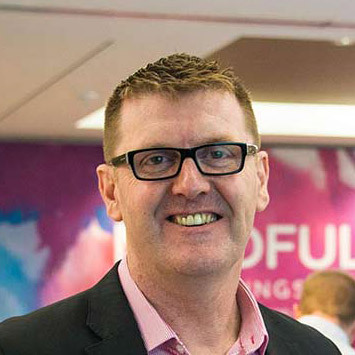 The research conducted by Rath’s team found that ‘people who have high energy levels in a given day are more than three times as likely to be completely engaged in their work’. Rath goes on to compel us that if we want to make a difference, we need to put our ‘heath and energy ahead of all else’. One’s personal energy level in our highly sedentary world is now more critical than ever. The answer is to eat well, get moving and start sleeping properly. Sleep is even more important than we think. People working on 4 hours of sleep are not productive, they certainly should not be idolised and in fact the research shows that they display the same level of cognitive impairment as drinking a 6-pack of beer – without any of the joys of being drunk with friends! What I loved about Rath’s book is that it is practical and easy to follow, plus it has a ‘tools and resources’ section at the back with a chapter recap, along with powerful discussion questions to workshop. Are You Fully Charged? may just well get your life back on track and in control, help you to truly serve and make your life healthier and more productive, with a beautiful by-product of being happier.